Olga joined the Beaufort Group in 2017 to work in the operations team. As Operations Support Specialist she focuses on building and implementing operational processes to support the overall strategic growth ambitions of the business. Her role puts her at the very heart of the business where she works with multiple departments at the same time. Olga has recently been involved in projects which have implemented new tools to build improved efficiency across the teams, their departments and the business. Prior to Beaufort, Olga has worked in a range of different industries including legal, publishing, psychometric testing and logistics. Each of these have provided her with new set of skills and fresh perspectives on how to build improved ways of working. Drawing on this wealth of experience, Olga is able to quickly adapt to new situations, provide outside-of-the-box ideas and deliver customised solutions to challenges and issues. 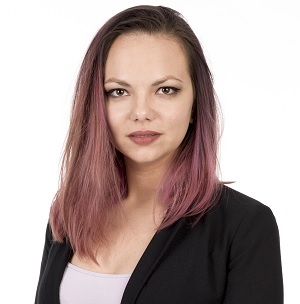 Olga is currently working on her professional certification in Operations and Project Management and she has a degree in biotechnology and psychology from University of Warsaw. Outside of work, Olga is involved with a local animal rescue group, which finds new homes for abandoned pets.